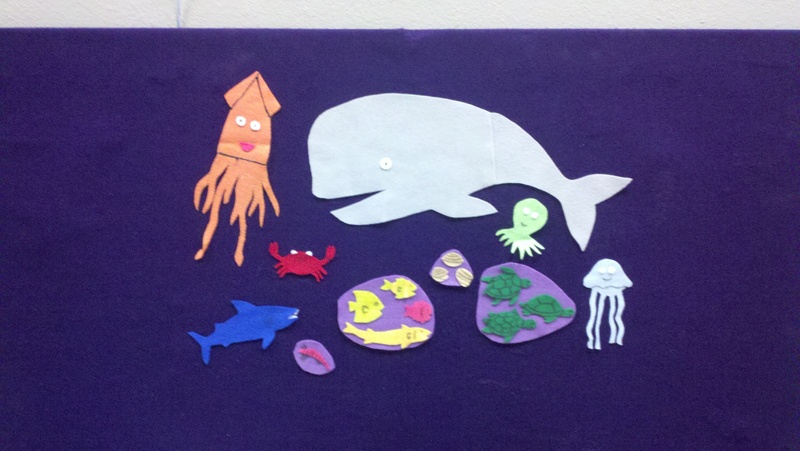 A few weeks ago, I did an outreach storytime at a preschool, and they requested that the theme be about oceans. The storytime was a huge success, so I decided to bring it to my regular storytime at the library. When I did this theme last year, I had Under the Sea (as sung by a certain crab named Sebastian) playing as the kids came into the storytime room. I completely forgot to bring my CD with me this week, though. I’ll have to remember next year. 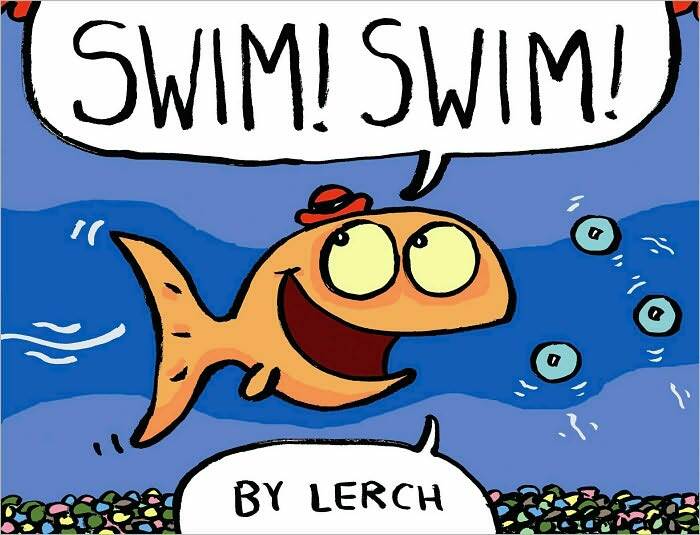 This is a heartwarming story about a lonely goldfish named Lerch. All Lerch wants to do is make some friends. He tries talking to some pebbles, a scuba diver figurine and some bubbles to no avail. When he meats a cat, it looks like Lerch just might turn into lunch! But then the cat drops Lerch into another fish’s bowl and Lerch finally makes a friend. Little fish is hiding behind a seashell! Can we find him? 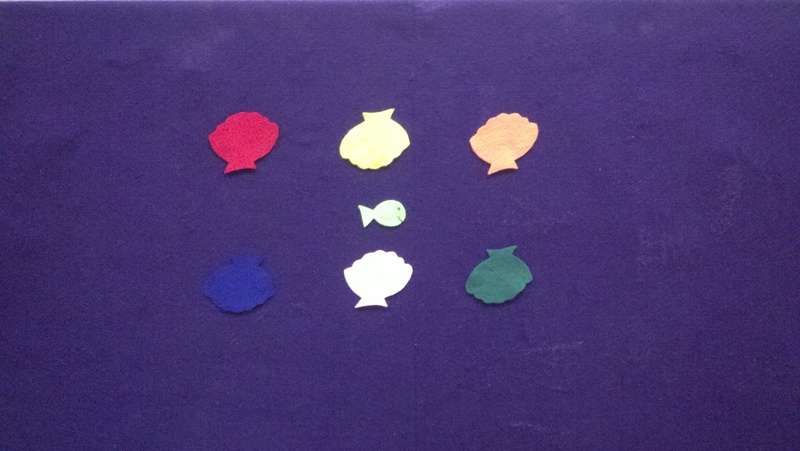 Little fish, little fish, are you behind the green seashell? The flannel pieces are a bit small because I made them for my small flannelboard that I take on outreach storytimes. 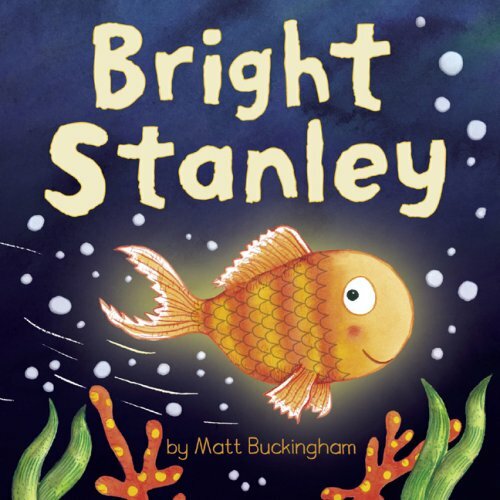 A shiny little fish wakes up late one morning to find that his school has left without him! He follows them in a hurry, meeting a grumpy lobster, a shiny pearl and a sharp-toothed shark on his way. The kids loved the shark, and they were all very happy when Stanley found his friends. While I love this story, I prefer to present it as a flannelboard. I introduce the giant squid as “Sid the Squid” and I have the children say hello to Sid. I then get on with the story, pausing to ask the kids, “I don’t know, do you think he’s bigger than these sea turtles?” And we pause every now and then to exclaim, “I’m the biggest thing in the ocean!” And then I introduce “Willy the Whale” and tell the kids that Willy has a bad habit of swimming with his mouth wide open. 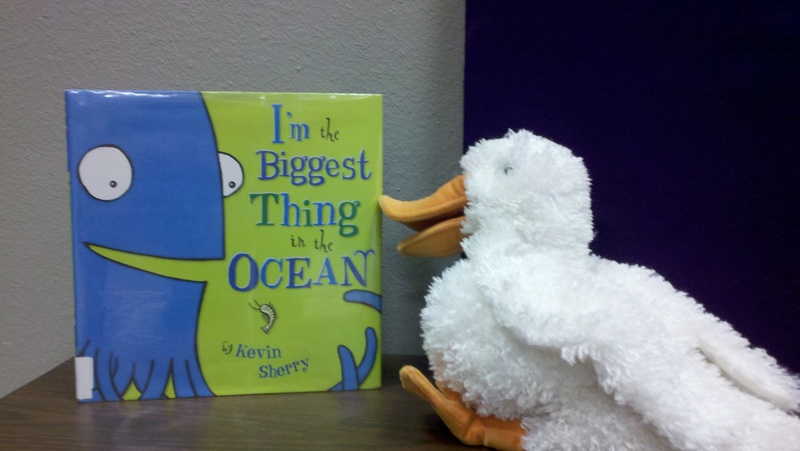 And one day he was swimming with his mouth wide open and accidentally swallowed Sid the Squid! But then, of course, Sid finds all of his friends in Willy’s stomach and he exclaims, “I’m the biggest thing in this whale!” One little boy in my Tuesday session guessed this correctly! 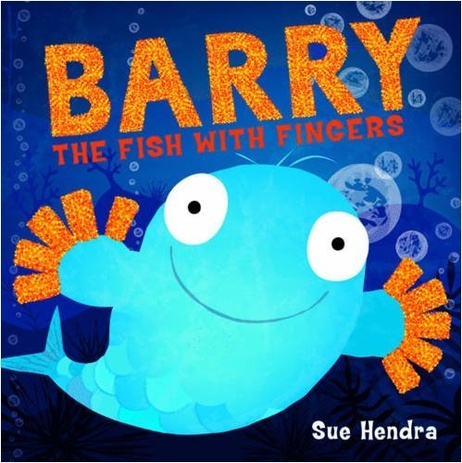 This is a short but sweet story about a fish with fingers! There’s a great point in the middle of the book that naturally allows a conversation about what we can all do with our fingers/hands.